2019 marks 50 years of Scooby-Doo, and to celebrate, I conducted an interview with Victor Cook. 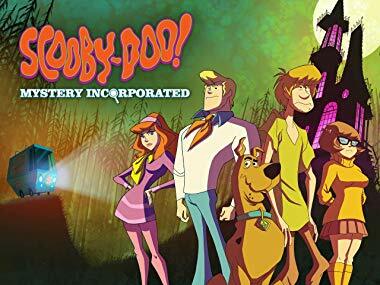 He worked as Supervising Director and Producer on my favorite Scooby-Doo series, Mystery Incorporated, which ran for 52 episodes from 2010-2013. We talked about his work, what made the show so unique, and what his favorite parts of working on it were. Justin: So to start off with my biggest question about the show. why so many ascots? Victor: Iwao Takemoto was the lead character designer for the original series “Scooby-Doo! Where Are You?” which ran 1969–75 . 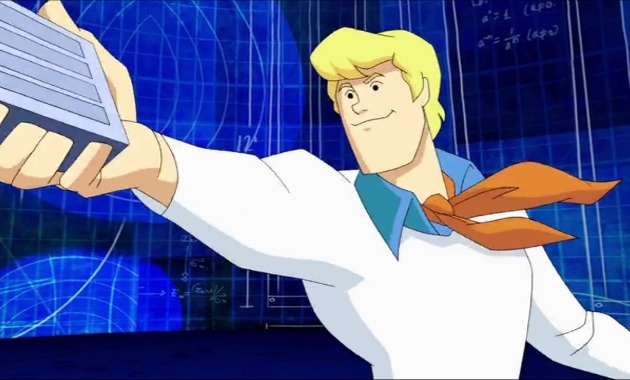 He designed Fred with an ascot, as well as many wealthy incidental characters that popped up in episodes. Although “Scooby-Doo! 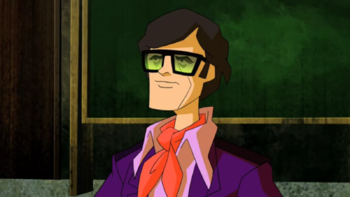 Mystery Incorporated” was set in 2010-2013 with may modern things like cell phones and the internet, the fashion style aesthetic was based on the same era of the original series. J: Before working on mystery inc, what was your relationship to Scooby-Doo? V: As a kid, I watched the original series Saturday mornings. J: Can you speak a bit to the humor of the show? It seems much more rooted in wry comments and horror references than slapstick. V: Mitch Watson, Tony Cervone are the geniuses behind the humor and story of Mystery Incorporated. I was thrilled to work with them, they brought me in as Supervising Director for the first season and Producer for the second season. We didn’t approach it very cartoony, the humor came from personality, relationships and situation. The Monster part of the series evolved from being a person in a monster mask to being real monsters. I had just come off Spectacular Spider-Man and the other Director was Curt Geda who was known for directing many DC super hero shows. We were encouraged to inject that action staging style into the show with dynamic angles. We had a blast doing this Scooby series more cinematically while referencing the horror movies that we loved. J: What was it like seeing these famous characters evolve and grow? V: It was a blast to see them evolve from their archetypes to being fleshed out with having back story and depth. J: Do you have a favorite character created for this version of the show? V: Professor Pericles. What a great villain! J: Can you talk a bit about Professor Pericles? He really is a stand out of the show, and the closest we’ve come to an anti-scooby. What was the creation process like for him and when did you know you guys had struck gold? 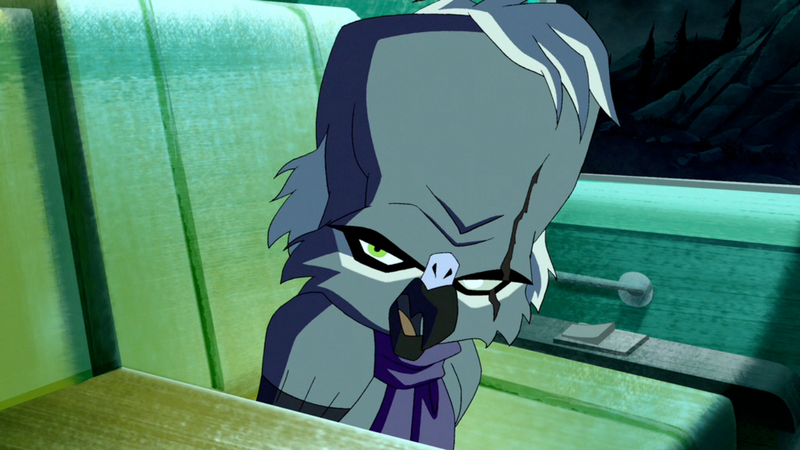 V: Character Designer, Derrick Wyatt was the artist responsible for visualizing this Parrot. Mitch Watson and Tony Cervone are the geniuses that created this great villain. The gold was the overall back story of the mystery solvers over history, each different animal pet. Pericles being one of those. Much of the charm, menace and personality of Professor Pericles was due to his fantastic voice actor, Udo Kier. 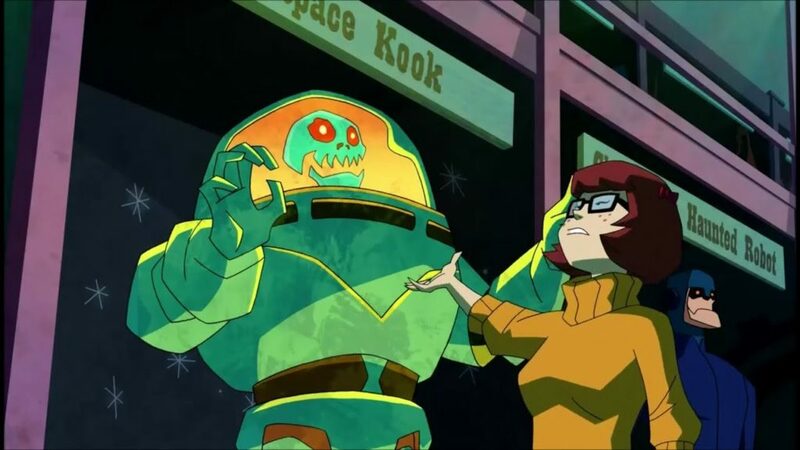 J: This show incorporates a lot of old Scooby Doo mythos, reworking characters like Vincent Van Ghoul, and bringing back characters like the hex girls, what was the philosophy when dealing with these lesser known characters? V: Incorporate them into the show in a way that satisfies the old school Scooby fans while feeling like a brand new introduction to the younger viewers. J: It’s not your first time working with famous characters, you worked on what’s often considered the best spider-man series, you worked on Mickey Mouse Clubhouse, you worked on the stretch Armstrong reboot. What’s your philosophy when dealing with pre-existing characters, and how did Mystery Inc vary from those shows? V: Stay true the original core of the characters while updating them for the current audience. J: Do a favorite memory from the show? V: I have a few! We had so many fun actors on the series, probably one of the most memorable recordings was with Harlan Ellison. Also, I loved working with our crew. So many amazing talents. Derrick Wyatt’s character designs were the perfect blend of a modern update while honoring Iwao Takemoto’s original designs. I always enjoyed spotting the show with our composer Rob Krall, I loved how his music score enhanced the humor and the horror of each episode with a cool retro vibe. J: Ellison playing himself was an extremely cool moment that I think made a lot of sci-fi and horror fans very happy. What was working with Elison like, and were there any other people you would have liked to see play themselves on the show? V: Ellison was a little unpredictable at the record, but also a lot of fun. I feel we got the actors we wanted. J: 13 ghosts of Scooby-Doo is getting a conclusion finally in the form of a new movie. If Mystery Inc were to get a follow up movie what would you want to see discussed? V: If there was a Mystery Incorporated movie, I would like it pick up right after our last episode. J: What are you up to now? V: Currently on Netflix, is a show I worked on called ‘Stretch Armstrong and The Flex Fighters’ with two seasons worth of episodes and a Interactive special. It features a brand new superhero universe and stars Scott Menville, Steven Yuen, Ogie Banks, Kate Mulgrew and Will Weaton. Also, coming out sometime in 2019 is a brand new show I am working on from Disney Jr called TOTS. 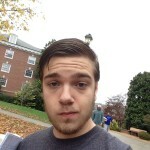 Follow Victor Cook on Twitter here. я так и не понял, будет ли продолжение Скуби-ду Мистическая корпорация?